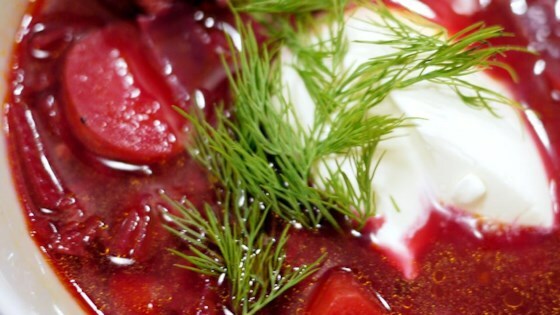 "My friend's mother from Ukraine taught me this recipe for the classic beet soup. It's as authentic as it gets. It can be served vegetarian-style by omitting the sausage." I lived in Russia for 6 months and this is authentic! Don't overcook it or the rich magenta color will turn brick red. Delicious and so healthy. Even my three year old liked it.